I was seated promptly at a delightful window table that gave me a good view of the scenery. 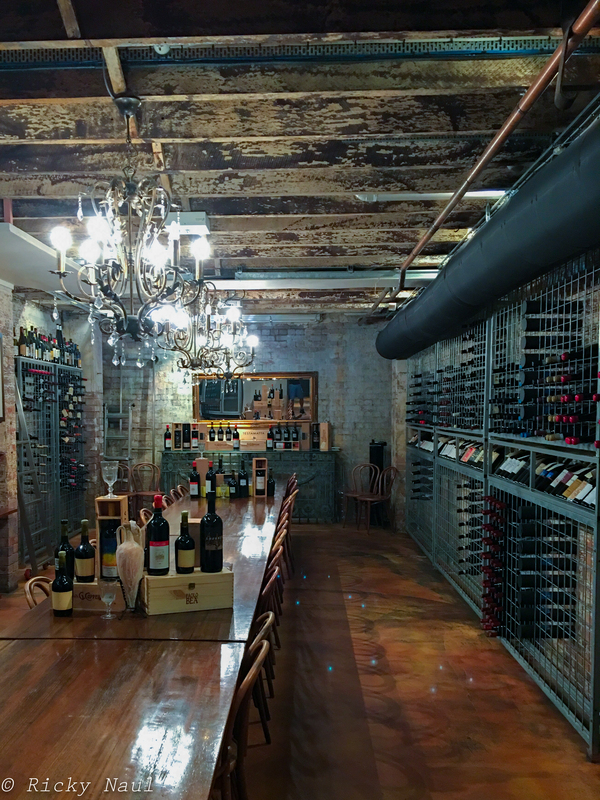 It is a cozy space dominated by a large bar and walls lined with wine bottles. That directed my attention to the simply brilliant wine list. The food menu was also perfect reading for a lunch time menu and this is how I like it – a good focus on foods done well and an abundant selection of wine. The bubbly and friendly waitress devoted a lot of time in explaining the menu and making recommendations. Cue the appetite. 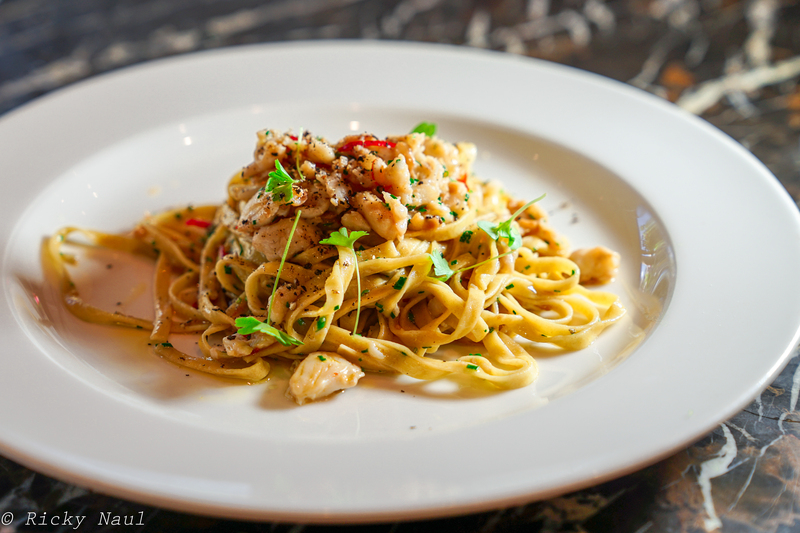 To start with, I was urged to try the Linguine with Sand Crab and was happy that I did. A delightful dish with perfectly done ‘al-dente’ restaurant made linguine. There was a good amount of crab in the dish even though it was a tad over salted. Personally, I would have loved to see a strong extra virgin olive oil drizzled over the plate and less salt but overall a well constructed dish. 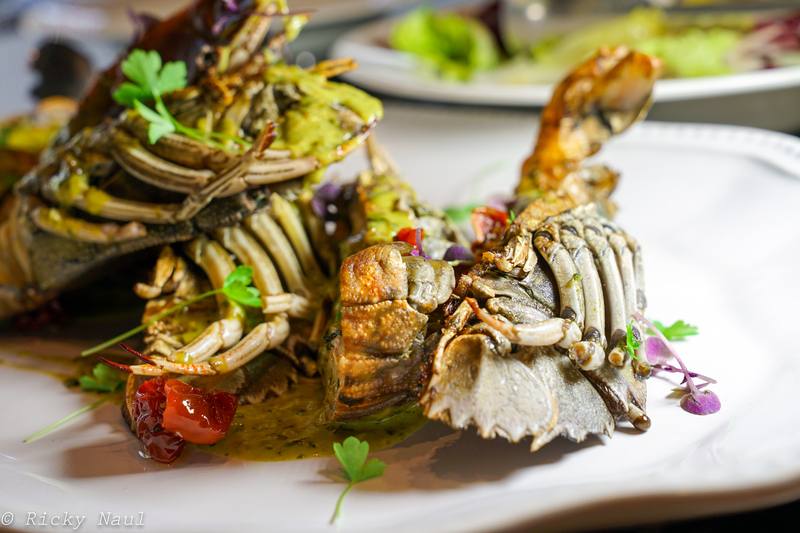 As a main course, it was recommended that I try the ‘Cicale Di Mare’ – Grilled Moreton Bay Bugs (flathead lobster) served with a Basil Pesto Cream. At 500 gms, this was a large plate of food! The fresh bugs were perfectly grilled and served with just the right amount of pesto – just enough to add a little flavour without drowning out the natural sweetness of the meat. Again , a very pleasing dish. Finally to the dessert and the waitress simply said “Don’t leave here until you have tried the ‘Torta Al Limone’. 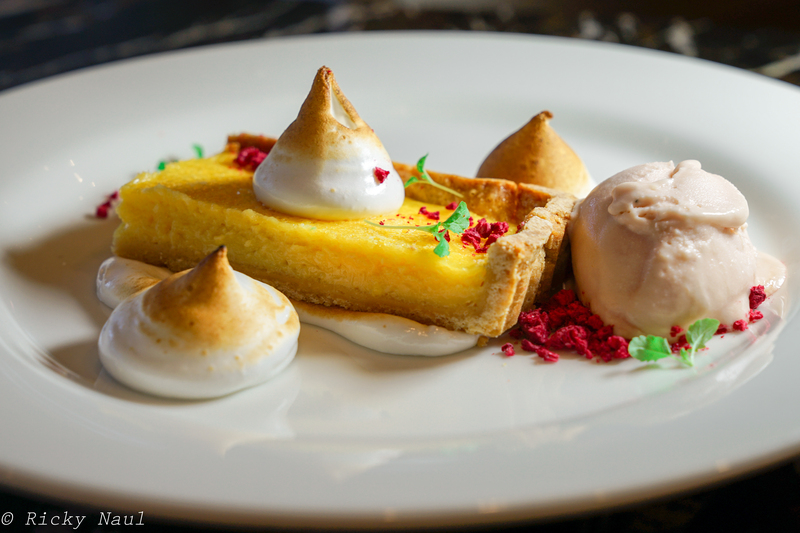 An absolutely beautiful looking dish with a slice of lemon tart served on a bed of mascarpone and topped with Italian meringue and served with ice cream. For all its beauty and artistry, I did find that the tart was lacking in acidity. This took away from the fact that it was meant to be a lemon tart. If more ‘lemony’ this would be among the most outstanding desserts that I have tried. However, again, another generally pleasing dish. 1889 Enoteca in Brisbane is a Good restaurant. The food is fresh and honest with a focus on local ingredients. The service is out standing in an appropriately styled dining room and the bill for a three course meal with wine won’t leave you in tears. 1889 Enoteca is a restaurant from which you will not come out unsatisfied at all. Right, now to figure out what this sport called cricket is all about.